These smaller size, two-sided panels place materials at child-level without blocking teacher's view. Use as single panels or combine them in a variety of configurations. 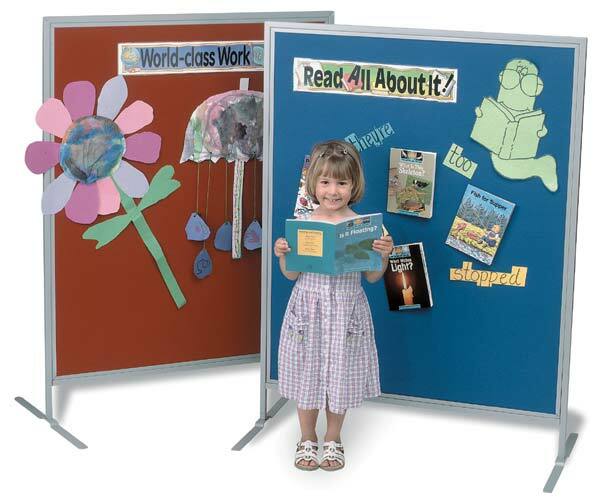 Panels are easy to set-up and store, and make great portable display bulletin boards!